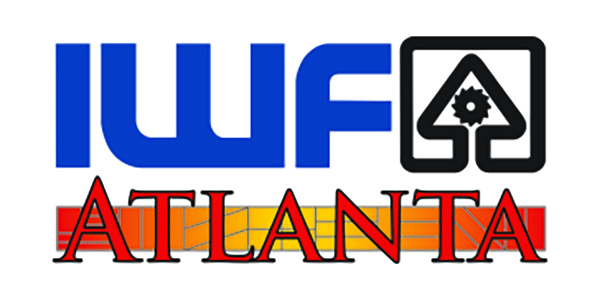 We’re glad to inform you that this year we will be exhibitors at the IWF 2018 in Atlanta, USA, from 22 to 25 August! The Data Controller informs you that your personal and identification data (for example, name, surname, company name, address, telephone number, email address, bank and/or payment details, public or private IP addresses, etc. ),hereafter called “personal data” or even simply “data”, also acquired verbally, directly or through third parties in the past, as well as in the future, may undergo processing in full compliance with the EU Regulation. The Data Controller processes data legally, and specifically for the implementation of a contract of which you are part, or for the implementation of pre-contractual measures (e.g. preparation of an offer, etc. )requested by you (Art. 6 of the EU Regulation). The processing of data implies any operation or set of operations concerning the collection, recording, organisation, storage, consultation, elaboration, modification, selection, extraction, comparison, use, interconnection, blocking, communication, erasure and destruction of data. Navigation and user statistics and analysis. The sending, by email, post and/or text message and/or phone, of commercial and/or promotional communications of third parties (for example, business partners). The processing of your data is carried out by means of the operations indicated in Art 4 no. 2) of the EU Regulation, namely: the collection, recording, organisation, structuring, storage, adaptation or alteration, retrieval, consultation, use, disclosure by transmission, dissemination or otherwise making available, alignment or combination, restriction, erasure or destruction, blocking. Your personal data is processed in both in paper and electronic and/or automated form (in any case suitable for ensuring the safety and confidentiality of data). The Data Controller will process personal data for the time necessary to fulfil the above purposes and in any case not beyond the date provided for by the law for the discontinuation of the relationship for the purposes under the existing relationship. Personal data processed for marketing and commercial purposes is stored in compliance with the principle of proportionality and in any case until the processing purposes have been pursued or until the person concerned revokes specific consent. More specifically, the Data Controller will keep the data for no longer than 3 years after collecting the data. The personal data provided by you will be processed “in a lawful manner according to the principles of correctness and transparency”, protecting your privacy and rights. To third-party companies or other entities that carry out outsourcing activities on behalf of the Data Controller, in their capacity as external data processing managers (including: associated firms, lawyers, data processing companies, certification boards, accounting/tax consultants and in general any other body responsible for verifying and checking the proper fulfilment of the purposes indicated above, credit institutions, professional firms, consultants, insurance companies for the provision of insurance services, financial offices, municipal authorities and/or municipal offices, consultants and service companies and workplace safety companies who in turn may disclose the data, or provide access to the data in the context of their members, users and related assignees for specific market research. The data collected and processed may also be disclosed, in Italy and abroad, to subcontractors, suppliers, for the management of information systems, to transporters, freight forwarders and customs agents). For the sake of brevity, the detailed list of the above entities is available at our offices and is at your disposal. Without the need for express consent (Art. 6, letters b) and c) of the EU Regulation), the Data Controller may communicate your data for the purposes referred to in paragraph 2.A) above to supervisory bodies, judicial authorities, insurance companies for the provision of insurance services, as well as those parties to whom disclosure is mandatory by law to achieve the above-indicated purposes. These parties will process the data in their capacity as independent data controllers. Google Analytics: Advertising Coverage, Analytics/Measurement, Optimisation. Your data will not be disclosed. Personal data is stored on devices located at the premises of the Data Controller or at providers within the European Union. In any case, it is understood that the Data Controller, if necessary, will also have the right to move data to non-EU countries. In this case, the Data Controller hereby ensures that the transfer of non-EU data will take place in accordance with the applicable legal provisions, subject to the stipulation of the standard contractual clauses provided by the European Commission. As regards the data present on its devices, and any data present at the provider, the Data Controller has implemented appropriate technical and organisational measures to ensure a suitable level of security, in full compliance with the provisions of Art. 32 of the EU Regulation. Navigation: Your browsing data may also be transferred, limited to the purposes indicated above, to the following territories: – EU countries, – United States. The provision of data for the purposes under point 2.A) above is mandatory. Without this data, we cannot guarantee the services as indicated in point 2.A). Instead, the provision of data for the purposes under point 2.B) is optional. You may therefore decide not to provide any data and subsequently deny the possibility of processing data already provided. In this case, you will not receive newsletters, commercial communications and advertising material and/or anything else related to the services offered by the Data Controller. You will still have the right to the services under point 2.A). The existence of an automated decision-making process, including profiling under Art. 22, Paragraphs 1 and 4 of the EU Regulation, and, at least in these cases, significant information about the logic used, as well as the importance and expected consequences of this processing for the interested party. If your personal data is transferred to a third country or an international organisation, you have the right to be informed of the existence of adequate guarantees pursuant to Art. 46 of the EU Regulation concerning the transfer of data. Upon your request, the Data Controller will provide you with a copy of your personal data being processed. If you request further copies, the Data Controller may charge you a reasonable fee based on administrative costs. If you submit the request by electronic means, and unless you specify otherwise, the information will be provided to you in a commonly-used electronic format. The right to obtain a copy pursuant to paragraph 3 shall not adversely affect the rights and freedoms of others. The right to complain to the Privacy Authority. You also have the right to revoke at any time consent already given without prejudice to the lawfulness of processing based on the consent given prior to revocation. It may happen that WPR S.r.l. is not the Data Controller to whom you have given your personal data, but is the co-owner of data processing or is responsible for external processing, and therefore your data has ultimately come into the possession of WPR S.r.l. due to a contract that regulates the parties. In this case, it should be noted that the undersigned company will do everything possible to ensure that you have been informed and have given consent to processing. You can ask WPR S.r.l. at any time about how your data was acquired. Below we provide you with information that we are required to bring to your knowledge, not only to comply with legal obligations, but also because transparency and fairness towards people who visit our website is a fundamental part of our business. The updated list of other external processing managers is kept at the premises of the Data Controller. Persons in Charge. The updated list of persons in charge of processing is kept at the premises of the Data Controller. It may happen that TAKA S.r.l. is not the Data Controller to whom you have given your personal data, but is the co-owner of data processing or is responsible for external processing, and therefore your data has ultimately come into the possession of TAKA S.r.l. due to a contract that regulates the parties. In this case, it should be noted that the undersigned company will do everything possible to ensure that you have been informed and have given consent to processing. You can ask TAKA S.r.l. at any time about how your data was acquired.